The Berkeley Schools Labor Caucus, formed to pressure the teachers' union to take a tougher stance on protecting workers' rights, is feeling more emboldened in light of a recent Supreme Court decision. The Berkeley Schools Labor Caucus feels more empowered to speak up. In the 25 years that Masha Albrecht has been a classroom teacher, she's been a strong believer in the power of collective action and served for many years as a union representative. But lately, she's started to wonder if the thousands of dollars in monthly union dues she has paid to her teachers' union over the past 13 years as a Berkeley High math teacher might be better spent. As the only teacher of Calculus AB in all of Berkeley High for the past two years, Albrecht taught classes last fall with an average of 32 students per class—the most she's had to juggle in her teaching career—and other teachers had similar class sizes, she said. "It was exhausting," said Albrecht. "All year, I felt I couldn't reach anyone as well as I would have liked to. It was a lot more difficult to stop and give kids the extra help they needed. And I had more headaches last year than any other time of my life." That's why last fall Albrecht co-authored a petition with other teachers to lower the student-teacher ratio to 26:1 or fewer, which garnered more than 100 signatures. She and other members of the Berkeley Schools Labor Caucus, a group that pushes the district's official unions to take a more vigorous stance in protecting workers' interests, argued that the increase in average class size at the high school exceeded the limit allowed in the Berkeley teachers' union contract, as well as Measure E1, a special parcel tax measure passed by voters in 2016 that aims to keep average class sizes for grades sixth through 12th to 28 students. Dan Plonsey, a high school math teacher who co-authored the petition, said the union had been notified several weeks before school started that 200 more students than expected had enrolled and the district could have hired new teachers right away. But the Berkeley Federation of Teachers argued that it was too late in the school year to hire new highly qualified staff and that doing so would also greatly disrupt student schedules. Instead, on Oct. 25, the union ended up signing an alternative plan with the school district that gave teachers in the district with extra students a one-time payment. "And that is not what we wanted—and you can see how it makes us look as teachers that we wanted extra money, but we just wanted classes to be small," Albrecht said. Berkeley Federation of Teachers' President Cathy Campbell said the decision not to lower class sizes was made in consultation with the union's school site representative and high school teacher leaders, and that the union, when it heard of the enrollment increases before school started, successfully encouraged the hiring of new staff, and some teachers agreed to add new classes to their load. She also said that it can take a while to resolve grievances. Yet, this wasn't the first time that Albrecht and Plonsey say the union left teachers feeling unheard and underrepresented. In fact, they're among three former union representatives at the high school, along with Brian Crowell, a former Berkeley High history teacher, who helped found the Berkeley Schools Labor Caucus about five years ago to press the union to stop its support for the Berkeley Peer Assistance and Review, or BPAR, a program for poorly rated teachers that can result in dismissal, which was passed by the legislature in 1999. They argued that BPAR was being used disproportionately on teachers of color and older female teachers. "The union was putting us in a position where we had to fight," said caucus member Valerie Trahan, a teacher in the Berkeley schools who was placed in BPAR by the district at the advice of her union about nine years ago. "They were throwing us under the bus; they were not representing us; they were representing management. Our group exists because the union was not defending us." Since its founding, the Berkeley Schools Labor Caucus has adopted a more vigorous stance on protecting teachers against racial and age discrimination, giving them due process in labor grievances, and advocating for salary increases to keep up with the Bay Area's soaring cost of living. The caucus has grown to about 50 members within the district and another 50 members with similar goals in affiliates throughout the state, including in the Central Valley, Los Angeles, and San Diego, as well as in Florida, said Crowell. In Berkeley, participation in the group has been largely under the radar because, until recently, many feared retaliation from the district administration, he said. That changed in light of the recent U.S. Supreme Court decision Janus vs. A.F.S.C.M.E., which said that labor unions cannot automatically collect fees from public sector employees. While many progressives view the ruling as a blow to labor unions nationwide, members of the Berkeley Schools Labor Caucus, though troubled by the ruling, believe it also could have a silver lining: It could help strengthen their voice and influence. In addition, successful wildcat teacher strikes in West Virginia, Oklahoma, and Kentucky over the past year have also reassured them that being a dissenting voice against one's union may be necessary to make real change. "Now we have a choice to pay or not to be in our union," Albrecht said. "What that means to me personally is that the $100 a month that I contribute to my union—that I have to [pay]—I don't have to pay anymore, and they'd still have to represent me. So that's the immediate outcome of that Supreme Court decision. So it's a very different world now." Many members of the Berkeley Schools Labor Caucus don't see themselves as "going rogue" or as a competing organization to the teachers' union. Instead, they see themselves as a whistleblowing organization and hope they'll have a stronger voice in forming a union that is more accountable to all of its members. 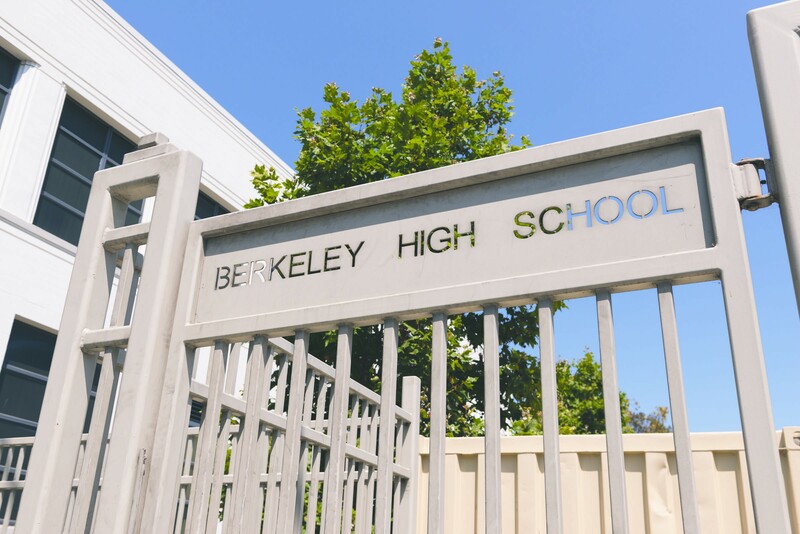 "We have some difference of opinion within the group about the degree to which we should work with the union, versus outside, but we all agree that our local (and state and national) union has been at the least very weak, if not in actual collusion with the district," said Plonsey, a union representative at Berkeley High. But in his view, he still sees the group "as part of the union, but internal critics," he said. "We do not wish to damage the union, nor are we opposed to unions in general. We see them as potentially the most powerful force to work for greater equity in education, health care, and economics. Our criticism stems precisely from observing that they are not working aggressively for these goals." The Janus decision may also help the caucus become more visible. Five years ago, after Crowell raised concerns about BPAR and advocated for adding an ethnic studies component to history classes, he says administrators retaliated against him, placing him in BPAR despite the fact that he had received high marks in his prior evaluation. He filed a labor grievance with the California Public Employment Relations Board alleging the district retaliated against him, which he won on appeal. He has since filed a lawsuit against the district that is expected to be heard later this year. He and Albrecht allege that every teacher who has spoken out on these issues has been retaliated against. "The caucus would meet in my living room, five years ago, because people were afraid of meeting on campus," Albrecht said. "There were people—wonderful teachers—I found on the stoop, people who were afraid to knock on the door, they were so fearful and feeling so traumatized. And in the past five years, people have come to the labor caucus and asked for representation that they are not getting from their union. And they usually ask for it stealthily because they just don't trust the representation that they are getting." Since that time, Albrecht and other caucus members routinely represent others at meetings with district administration. And Crowell, who is now a part-time teacher in Oakland, provides free legal aid to help employees in their labor grievances to the state's public employment relations board. The caucus has also increased collaboration with other employees in the district, including instructional assistants, administrative assistants, maintenance staff, and IT staff. And the caucus had its first big win in a union election this year, when caucus member Linnette Robinson, a special education instructional assistant, was elected president of Berkeley Council of Classified Employees, a group that represents more than 500 classroom assistants, which includes special education, clerical, and maintenance workers, safety officers, landscapers, nutritionists, instructional technicians and sign language interpreters throughout the district. "The sad part of it is that people are fearful of being connected to the caucus since you are speaking against the administration," Robinson said. "Some don't want to be affiliated because it's like saying you are part of the Black Panthers, when you are just trying to do something good, and they are trying to make it something bad." Trahan, who's now a substitute teacher in the Berkeley schools, won a labor grievance she filed against the district for denying her access to her email account because she circulated an email critical of the district administration by the Berkeley NAACP, which is a strong ally of the labor caucus. The judge ruled that denying her email access infringed on her freedom of speech. The district appealed the ruling, but the decision was upheld. Charles Burress, a spokesperson for the school district, declined to comment on specific complaints from employees, but stated that "the District does not retaliate against employees who are outspoken about issues of problems that they see at the District." In May, Trahan filed a public records request with the district demanding access to all teachers' email addresses. As a member of the labor caucus, she wanted to offer them the support of the group as a competing organization to the official teachers' union and ask them to help demand more accountability from the district administration. "Our members are kept in the dark about district policies that affect our terms and conditions of employment," she said. The superintendent initially denied, but later granted, Trahan's request. Campbell, the teachers' union president, declined to comment about the caucus or the specific allegations made by its members, but said the union is democratic, "with decisions made by its governing bodies and committees in keeping with the union's by-laws." "We engage with members regularly and listen to our constituents," Campbell wrote in an email. "We hold regular membership meetings and bring members to board meetings consistently to talk about the key issues facing our members and our schools [including] the need to retain our excellent teachers and classified staff, make it possible for them to have a long career in our community . . . . We fight for justice for our members and our students." Albrecht acknowledged that the teachers' union is led by a strong group of leaders and that, as a small organization, the labor caucus is fighting an uphill battle in expanding to the level that it could truly compete with the district's unions. "There's a very, very solid core of people leading our union," Albrecht said. "They are very loyal to each other and they are very strong, so you are not telling the exciting story of a group about to take power or anything." Still, Albrecht hopes that more people will feel emboldened by the recent Janus decision and wildcat strikes, especially in light of the current political climate, which has made teaching that much more difficult. "We have immigrant kids that are distraught," she said. "We have kids heading to colleges they can't afford. We have tremendous anxiety about grades and testing for students worried they won't get into college if they aren't exceptional, and we have gentrification putting pressure on our students of color, so the layers of stress in our job are definitely intensifying. And so we can't just sit back. And if someone is going to start to try to build something larger, it might as well be us." This story was originally published in our sister publication, The Monthly. Oakland has revitalized its vocational tech programs, recognizing that the "college-for-all" craze failed to train youth for well-paying, skilled-trades jobs. Despite the district's "Everyone Belongs Here" campaign, students have found more swastikas and hate speech at Alameda High.